In the New-World wine country that is Israel today, the Carmel winery plays the role of a dinosaur, but from what Adam Montefiore [picture on left] told me during this recent visit at the winery, the Israeli company which makes 15 million bottles a year has been through a massive rejuvenation in its winemaking techniques and also to some extent in its vineyard management. This pioneer winery was created in its time by the daring entrepreuneur baron de Rotschild. In the second half of the 19th century, the French Bordeaux magnate decided to help the jewish settlers in Palestine by setting up a winery and thus give work to the willing growers who would be guaranteed the purchase of their grapes. Everything had to be started from scratch in this arid and destitute land that was not yet named Israel, and this pay-per-weight factor along with the fact that the vineyards were planted in agricultural land were almost the prequisite conditions to bring back the growers and the wine production in a region where the wine culture went through several centuries of forced oblivion. But what was a blessing (massive plantings and production) then turned progressively into a curse later in the end of the 20th century as the name of Carmel became synonym with cheap high-yield wine, much of it consisting in sweet sacramental wine. What accentuated this feeling was the double revolution that the wine culture went through in Israel during the last years of the 20th century : The first one was the setting up of a UC-Davis inpired quality winery on the Golan Heights (the Golan Heights Winery). This took place in the mid-80s’ and its was the first time wine amateurs awakened to the idea that this country could produce wines that could compete with the rest of the world. The second revolution was the wave of what is called here the boutique wineries, small-scale units set up by passionate winemakers coming from various countries or background but whose small-batch wines were standing out. At Carmel, change was urgently needed in order to adapt to a different wine scene, and from what I learned from Adam Montefiore (whom I met thanks to my friend Zeev during my second short trip in Israel), big changes have already been implemented even if somehow the image still lags behind in the eyes of many consumers. the 3 new giant hoppers with their crushers on the left Walking through Carmel winery, you see all the different eras of winemaking in modern Israel, with many of the buildings built by the Baron de Rothschild in the 19th century still in place (pic on left) except that the tools inside went through successive changes along the years. The building on the right is where the winemaker used to stay and live. It is now a restaurant (Bistro de Carmel) with both outdoor and indoor dining rooms. By the way, Carmel was not really the first winery opened during the jewish awakening of the 19th century, the first known winery of that wine-comeback era being a small home winery in Jerusalem, using local grapes bought to arab growers and coming from varieties named simply Hebroni, Dabuki or Zeitani. The original varieties used in the antiquity in the region had been uprooted and replaced by table-grape varieties because of the muslim rule, and it was Carmel's founder Baron de Rothschild who helped wine grape varieties return here. The turning point of the long-waited change at Carmel was when Peter Stern was hired as a consultant in 2002, Peter Stern being the man who presided over the success of the first qualitative Israeli winery, the Golan Heights winery, founded in the early 1980s'. This Californian is known for paying as much attention to the vineyard part of the wine as the winemaking part, and his advice translated into the fact that Carmel let down part of its less valuable vineyards and planted others in selected terroirs all the while revamping its winemaking tools. Carmel set up two other wineries and had new vineyards planted in regions more suited for qualitative wines. The new Carmel-owned wineries are Yatir in the south Hebron mountains near the Negev, and Kayoumi in the upper Galilee, a mountainous region known for its fine wineries. The whole planted surface of Carmel Israel-wide is still big, with 1400 hectares spread all over the country, but a small-but-growing part of it is dedicated to make higher quality wines. Adam Montefiore says that there are many micro climates in Israel and for example, if the harvest in Fra,nce is stretched over two months (september and october), here in Israel it can go from mid july to the first week of november because of the very different climate conditions. Modern vats in 19th-century cellars This picture of modern vats lined in a huge 19th-century underground cellar shows well the two distant eras where Carmel invested a lot, although in a different way, to make wine. For the anectode, these cellars were built because the first wines made in the early days of the winery were lost because of the extreme temperatures (the wine turned into vinegar) as there was no air conditioning then. The following year they tried to cool down the fermenters with ice-blocks that they made with buying the first ice machines of Israel, but it didn’t do much better. The 3rd year they set up a water-pipe system to cool the fermenters, which was a bit better but not enough.The only way to get decently moderate temperatures was to go underground and these deep cellars were built at both Rishon le Zion and Zichron Ya’acov (the two facilities built by the Baron de Rothschild) between 1893 and 1896. They cost a total of 11 million French Francs when in comparison the same Rothschild family had paid 4 million Francs to purchase the Chateau Lafite winery and its vineyards (I can't imagine the cost today). This shows how dear this whole project was for this entrepreunerial man. The workers on the picture do maintenace work on a vat. Fitting square vats in circles To show you other layers of investments made along about 120 years at Carmel, see this particular cellar where cement vats have been built somewhere in the 1920s'. The tunnel-like cellars are very long and the cement vats go from one end to the other. The difficulty here was to design vats that made the most of the vaulted ceiling and adapt the shape of the usually- square cement vats so that they could fit in. You can see on the picture on top how the engineers/architects found a way to circumvent the difficulty, curbed the top on each side and manage enough room above for an access to the openings on the top of the vats. On the pictures right & left you can see how it looks under the inverted-V-shaped double line of cement vats, in two different cellars. Adam Montefiore says that they keep using cement tanks because they actually deliver good qualities for the winemaking. They’ve been upgrading them with the right coating and they use them for the middle-tier wines. The wines drop brighter and quicker in the cement tanks compared to stainless-steel tanks he says, and there’s a slight oxydation when the stainless is totaly inert. Speaking of the quality revolution observed in the 1980s' at the Golan Heights winery, Adam Montefiore says that what was important was that for the first time in Israel the decision making regarding the vineyards went from the grower to the winery. That means that instead of the winery having to work with grapes grown in high yields because it did not owned vineyards, the Golan Heights Winery imposed from the start its vineyard management rules to the Golan growers it partnered with. This way, and not the other way around was a prerequisite for making good wine. The new rule was in short "you grow how and where I want you to, you prune when I want you to and you harvest when I want you to". The Golan Heights was a partnership company owned by 4 kibbutz and 4 moshavs based in the Golan whose growers understood what the UC-Davis trained expert wanted : grapes that were fit for quality wine. Carmel also had worked on a cooperative type of relation with its growers but for ages the pay-per-weight concept left no hope for higher quality wines. The presses at Carmel 20 years ago, Carmel had 75 % share in the supermarket wine sections, now it is only 35 % but Adam Montefiore says that it is by choice : Carmel has diminished its wine portfolio and scrubbed some lower-tier wines and it also invested in plantings on higher altitudes with lower yields and better terroirs. The winery planted everywhere in Israel but mainly in Upper Galilee and now he says, Carmel is the leading grower there in terms of surface. These vineyards are all recent, with selected varieties they think are adapted to the soils, and the growers they work with have to respect the vineyard management set up by the Carmel experts. Now all of Carmel's quality wines are made from these Upper Galilee vineyards. But the different vineyards were allocated to either lower quality wines or to high quality wines depending of the quality of the grapes, and the grower was paid accordingly, which was an incentive to grow grapes properly. The other thing for increasing the quality is the construction of several small wineries by Carmel : Yatir, Kayumi and ..... Carmel also hired a new winemaking team with now at its head a winemaker named Lior Lacser who graduated in Beaune, Burgundy then worked in different wineries in Burgundy, Bordeaux and Australia, working as well with Michel Rolland. He began to work at Carmel in 2003 and became chief winemaker there in 2005. A vat room More discreetly, Carmel has also been changing the rules of registration of the old cooperatives, the ones making the historic base of growers. They changed from the cooperative concept to a shareholders one to allow for focusing more on quality than on volume. Carmel makes wine from vineyards situated all over Israel, namely from Netua, Zarit (Upper Galilee), Alma (Upper Galilee), Ben Zimra (Upper Galilee), Kayumi (Upper Galilee), Sha'al (Golan Heights), Meir Shefaya (Shomron region), Netta (Samson region), Givat Yishayahu (Samson region), Yatir Forest (Judean hills) and Ramat Arad (Negev). Adam Montefiore says that also 10 years ago all Carmel wines were Mevushal which means flash pasteurized. Now none of their wines, even the ones from cheap brands, are flash pasteurized. Carmel also decided to let go in 2005 some other food companies they owned like olive oil factories, vinegar, arak and other non-wine production plants, to concentrate on wine only, plus grape juice and brandy because it more closely connected to grapes. Mordechai in one of the vatrooms The Carmel winery at Zikhron Ya'akov has many changes materialized in new organization and new tools. There are several lines of production in parallel here, which means that you walk from a vatroom were the cheaper wines are made (big vats of course) to another one for the mid-level wines and another one for the small-batch wines. But the cheaper wines get also new techniques and better tools. The fact to have the different lines of wines made near each other allows to move a wine from a category to another. For example, Adam Montefiore says that from the Kayoumi Cabernet Sauvignon which is made of 12 different plots, they brought the grapes of 6 of these plots to ferment here, and 2 only will be used for the Kayumi Cabernet Sauvignon cuvée, the rest going down to a lesser cuvée. This is making wine better, he says. Plus, the volumes of these upper-tier Carmel wines are close to the ones of a boutique winery, he says : Yarden Cabernet Sauvignon is about 250 000 bottles, while Carmel's Kayumi Cabernet Sauvignon makes only 13 000 bottles. For these Kayumi wines, Carmel uses 4 types of fermenters, the roto-fermenter (which works like a washing machine), the punch-down tank, the pump-over tank and the pedal tank, each being used to get such or such type of wine at the end. On the picture on the right you can see the vatroom where the Selected cuvées are made. The micro-oxygenation control panel can be seen on the picture on left. Overall, Carmel is still into kosher wines which means that only observant jews can manipulate wine and touch the vats or casks. Key winery staff have thus to be religious people. Almways a strange concept to figure out for a non-jew like me, but it doesn't impair with quality as many of the best wines made in Israel are made this way. Here, that's Mordechai's job and I was very happy that he allowed me to take his picture in one of the vatrooms... Cask room for tasting events This particular cask cellar is also used to receive guests and host tastings. All the élevage cask rooms have an humidifier and a stable, cool temperature. In between the walls of these underground cellars of Zichron Ya’akov, they discovered once a secret room connected with hidden galleries where jewish rebels could hide weapons from the British authorities. At Carmel, the wine maker is French trained and while all Israeli wines tend to be new-world style, Adam Montefiore says that their objective here is to make wines as close as possible to the old world, like for example Shillag, Castel or Flam in Israel. Lio Lacser, the winemaker, likes to make wines with good acidity, soft tannins, not too high in alcohol and not fruit bombs, and so he is usually making élevages of 14-16 months. In that regard of discreet wood also he says that they are pushing for larger capacity barrels, like 300 liters for example. Adam Montefiore says that there is an excess in the use of the expression boutique winery in Israel, as small size (boutique wineries are the one making up to 50 000 bottles a year) seems here to imply top quality. He says that people forget that Chateau Mouton Rothschild makes 300 000 bottles a year. While upper cuvées get an élevage in casks or tronconic vats like shown on this picture, the lower, mass-market wines known under the "Selected" label gets wood imprint through the use of staves put into the vats for a certain time. Adam Montefiore says that they honestly admit it, but he adds that this is a better practice than the wood chips (which they don't use) for cheap wines. Tronconic vats We’re now in another cool cellar with both temperature and humidity control. There is a long line of big-capacity wooden tronconic vats, 8 of them, with a capacity of 5000 liters each. This is a newly fit cellar, and Adam Montegiore says that few other places in Israel have this type of wooden vats, he knows about Yatir which has some, Yatir being the Carmel-owned winery in the south Hebron mountains near the Negev. He says that these big barrels are very good for varieties like Shiraz which tend to love oak too much and taste too oaky afterward. The big size of theze vats allows the oaky side to be sharply reduced. How Carmel bottles looked like long time ago While there's not a precise history of all the labels and cuvée names by Carmel in its early years, they kept a few bottles with odd names and look. This was another era and these wines, at least the non-mechuval ones faced an uphill battle to get the average Israeli drink wine outside of religious occasions. Let's remind that a mechuval wine is a sacramental wine, it is very sweet and almost undrinkable by modern standards, plus, it was pasteurized at high temperature. Adam Montefiore points to an interesting detail about the bottle labelling : as many jewish immigrants arriving in the future Israel did not read either Hebrew or even English, the people at Carmel found a trick so that they still could recognize and buy a wine they liked : numbers. This bottle of Palwin N°4 (read : Palestine Wine) could be reduced to an easy-to-remember N°4 and the illiterate customer would be happy with his booze. __ Carmel Viognier 2010. 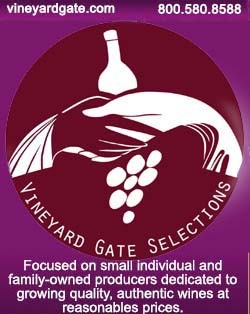 From upper Galilee vineyards. Opulent nose of flowers. Good acidity. Viognier is starting in Israel, there's less than 1% of the planted surface with Viognier right now in Israel. Winemakers often keep making oaked Chardonnay here while people are beginning to prefer unoaked whites. This Viognier costs 55 Shekels (11 € or 16 USD), which is a bit expensive for a summer white, Zeev says. It's actually hard to find affordable whites or rosé compared to what we find in Europe. __ Carmel Riesling 2009. Upper Galilee. Nice refined nose with white flowers, peony notes. Maybe lacks acidity and structure. 12 °. Off dry, Adam Montefiore says : there's a little bit of residual sugar. Petrol character too. __Carmel Cabernet Franc 2008. Upper Galilee. 85 % Cabernet Franc and the rest in Petit Verdot. Generous nose of compote fruits and oriental herbs aromas. 14 °. A bit hot in the mouth but the serving temperature is a bit too high too which makes alcohol feel more than it should be. Costs 65 Shekels (13,2 € or 18,8 USD). C.F. is one of the varieties brought by Baron de Rothschild in the late 19th century but it did not work well then. __ Carmel Petite Syrah 2007. From the Judean hills. Old vines. A bit of Bret he says. More like an animal type of wine. I like the nose. __ Kayumi Cabernet Sauvignon 2007, Single Vineyard. From the Upper Galilee (Mount Meron). 14 month élevage in casks. Nose with freshness, good acidity level in the mouth. Tannin feel on the side of the mouth but gets in line with the mouthfeel. Costs 120 Shekels, rather cheap (24 € or 34 USD). 10 000 bottles. __Mediteranean 2007. Blend of Carignan, Syrah, Petit Verdot, Petite Syrah and Viognier. Picked from selected plots all over Carmel vineyards. Aged 15 months in old casks. Got 98 points in the Wine Enthusiast, Adam Montefiore says. Nice nose of red fruits. Balance and nice to drink, after the first mouth which feels a bit powerful. Moderate in alcohol actually. Costs 150 Shekels (30 € or 43 USD). Limited Edition 2007. Blend of 5 varieties : Cabernet Sauvignon, Petit Verdot (both grown in Upper Galilee only), Merlot, Cabernet Franc and Malbec. Nice nose, albeit more discreet (a bit closed, needs carafing I guess when you serve it at home). Well balanced wine in the mouth. __ Sha'al Gewürztraminer Late Harvest. Vineyard at an altitude of 750 meters on the northern Golan Heights. Made through cryo-extraction method. Very beautiful wine with a feel of gold and honey going down. Very fresh indeed, a very nice wine Harvested at the end of october. Costs 85 Shekels (17 € or 24 USD). Carmel are producung some excellent wines now but they are a very hard sell to the non kosher market. We all need to do more to encourage people to try Israeli wines. The trouble is that all of the tastings, in the UK at least,are for the wine trade, not the general public. Great article and definitely agree with George that Israel's main focus needs to be on marketing its wines as Israeli/Mediterranean as opposed to kosher (http://www.yossiescorkboard.com/?page_id=851). I also recently wrote about Carmel (http://www.yossiescorkboard.com/?page_id=1101) a winery on the forefront of this mission, as shown with its recent aptly named "Mediterranean" wine. Thank you for the history. I found several bottles in my grandmothers celler after she passed away this past March of the Rose of Carmel Pink Semi Dry Table Wine as you have shown on this page. It was nice to find out more information. The label on the back side of the botlle is not in English . 1 . How old is this wine? 2. How much does it cost by now? My mother and father were given a bottle of Carmel's specially sweet grape wine for their wedding back in 1947. Since they did not drink she put it in the cupboard and it stayed there until she died, at which time I took it and it is now in my cupboard. I was wondering if you could tell me any more about that particular wine. I can not find a date on the bottle, it could be that the print is so small that I just can't read it. But I'm assuming it wouldn't be much older than that. I am still looking forward for the answers of my two questions I have showed last time. Is the wine in the bottle still OK? Thank you so much in advance for the kindly help.